NEW YORK (CBS) 1970s teen idol Leif Garrett was put back behind bars again after being arrested Monday morning for possession of a controlled substance, according to E! Online. 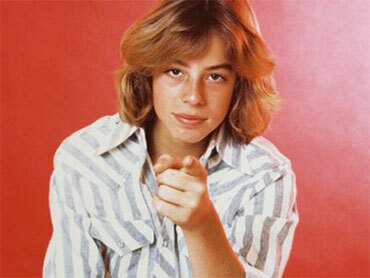 Photo: Leif Garrett back in the happy '70s. Garrett, who has appeared in three dozen films and once graced the covers of many a magazine, was reportedly busted by the L.A. County Sheriff's Department at a Metrolink station in downtown Los Angeles at around 11 a.m. on Monday, according to the celebrity site. The troubled actor was placed behind bars and released Wednesday morning after posting bail, the site TMZ reported. Garrett has been ordered to return to court on February 24. 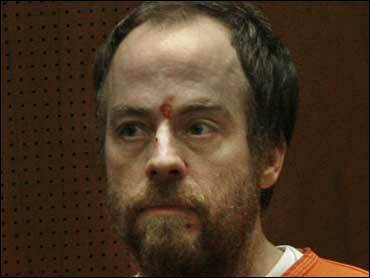 Photo: Leif Garrett in Los Angeles Superior Court for a hearing Jan. 20, 2006. This wasn't the first time Garrett has run into trouble with the transit system. He was arrested on similar charges in 2006, when he was stopped for riding without a ticket. The actor was found in possession of heroin and Quaaludes, and sentenced to a live-in drug rehab facility, which he left. 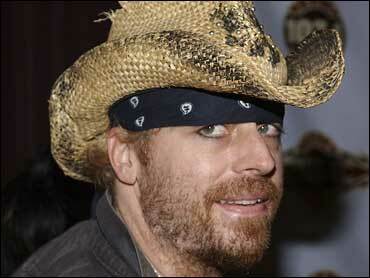 Photo: Leif Garrett on April 13, 2004 in Hollywood, California. He was sentenced to 90 days in jail for the incident. In 1979, just a few days before his 18th birthday, Garrett rear-ended another car while driving a Porsche, and leaving his best friend, Roland Winkler, a paraplegic. Garrett has appeared in three dozen films, mostly in the 1970s and '80s, and has released 10 music albums.